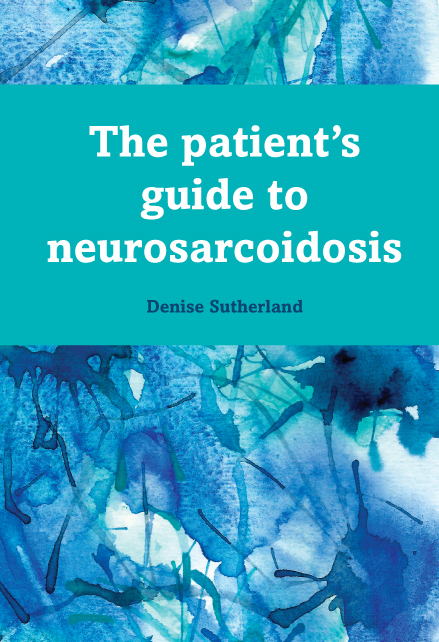 The first part of the book contains medical information about neurosarcoidosis, diagnosis and treatment, as well as information on coping with the disease. The second part of the book contains experience stories from ten patients from around the world. The book is paperback, 176 pages long, and includes a glossary, bibliography and index. Fonts and layout have been designed to help readers with vision impairment. You can view a preview of the book on the Lulu page, look for the ‘Preview’ link just under the cover image. The PDF ebook has an interactive table of contents and index, and external links to the websites mentioned in the book.